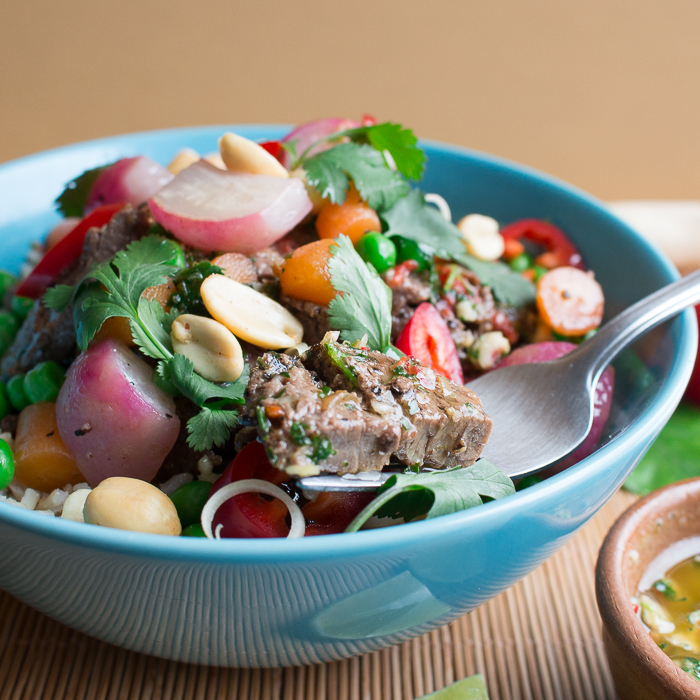 Spring Time Thai Beef Buddha Bowls are the perfect spring time party food. You can make everything and place in a serving bowls and let everyone make their own creation. 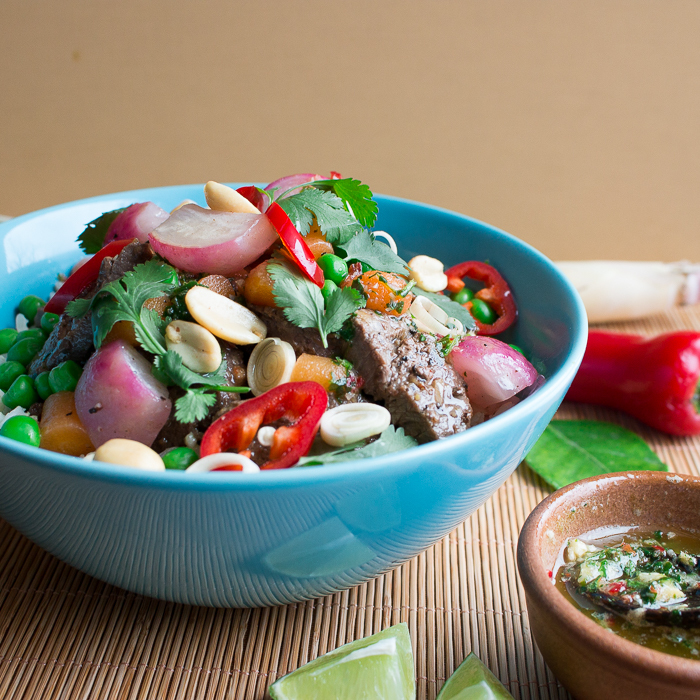 You are just going to love these Spring Time Thai Beef Bowls because we marinated the beef overnight and let the aromatics permeate the beef and tenderize the beef. Can you guess what cut of beef we used to make these beef bowls? We bet you would have never guessed we used a boneless chuck roast. You bet! You may ask why boneless chuck roast that is because they had a buy one and get one or lesser value free at the local grocer. How awesome is that?! We cooked one of the boneless chuck roasts using our Super Easy Slow cooker Italian Beef Roast. The next day we used the leftovers from the Crazy Easy Italian Slow Cooker Pot Roast to make our Beef French Vegetable Mushroom Onion Soup. However, we wanted something lighter and brighter to celebrate spring. 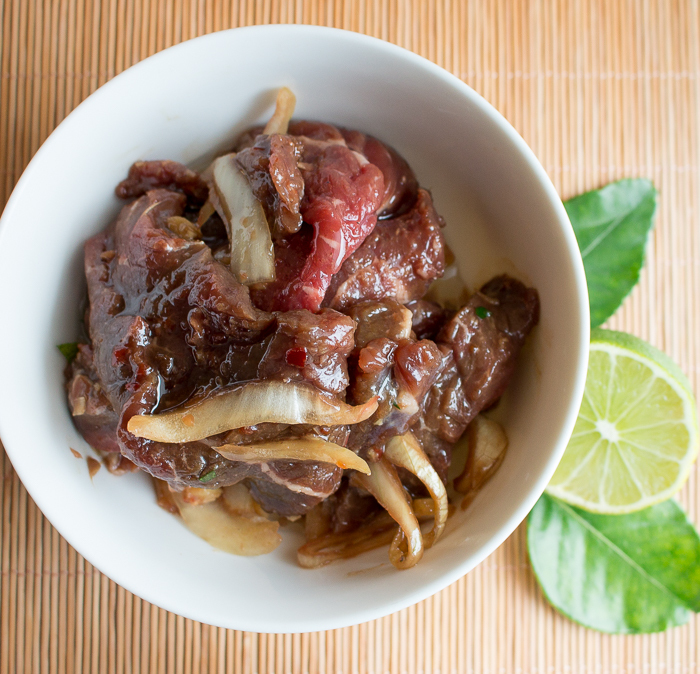 We sliced this boneless chuck roast into super thin slices and marinated with all the delicious Thai aromatics for 24 hours for some amazing super tender beef. Of course, you can use beef tenderloin for super tender beef and you could marinate for an hour and you are good to go. The tougher the cut of beef the longer you will need to marinate. 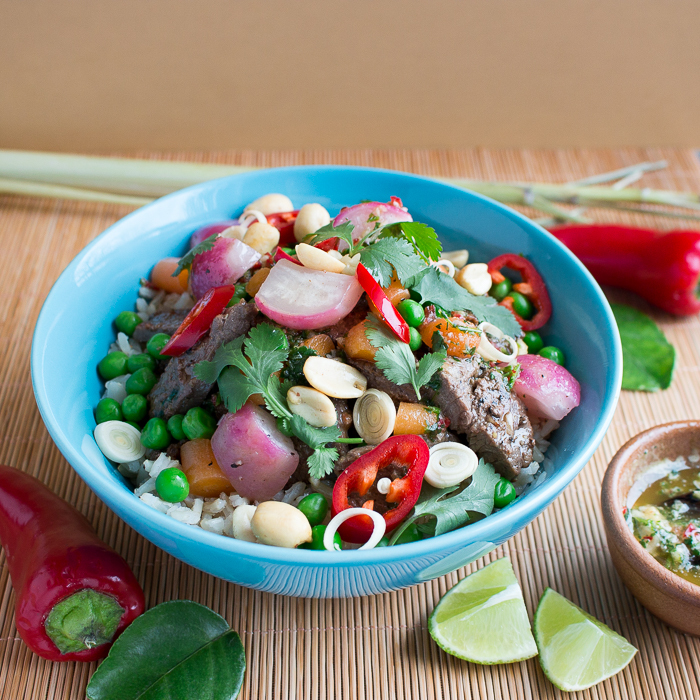 Spring Time Thai Beef Buddha Bowls are full of the traditional spicy, savory, sour and sweet essence of Thai cuisine. Each bit of these bowls is going to awaken your senses. We started out with a little scoop of brown rice. 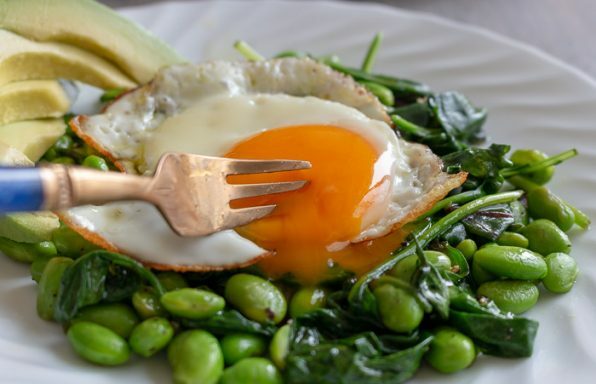 You can also use white jasmine rice or even cauliflower rice if you are watching your carb intake. 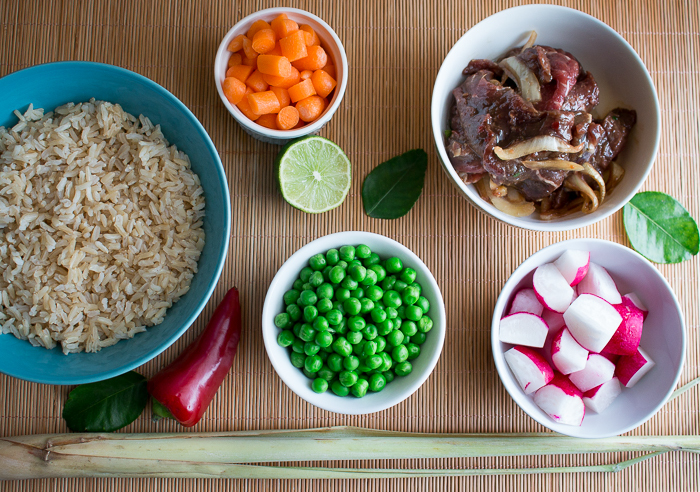 Next we layered on slices of grilled marinated Thai beef, stir fried radishes, carrots and fresh peas. Then we drizzle on our dynamo Thai dressing sauce and top with fresh cilantro, mint, chilis, lemongrass and toasted peanuts. 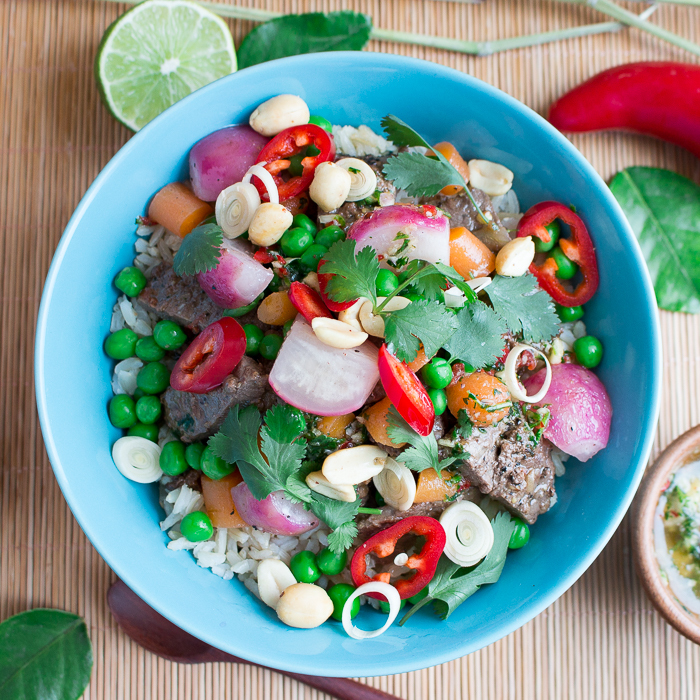 With each bite of the Spring Time Thai Beef Buddha Bowls you get a little spicy, crunchy, aromatic, sour, sweet, fresh and bliss. You will need your own little personal minute as you savour each bite. 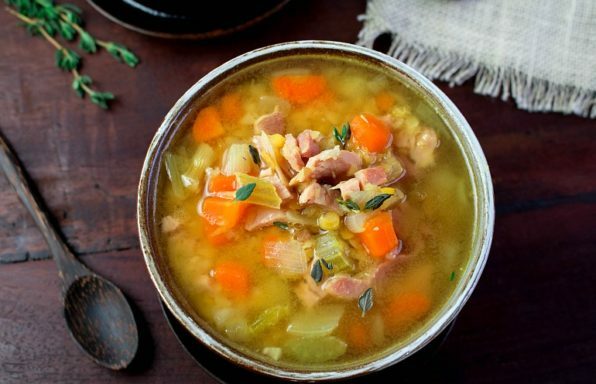 With the change of seasons, your body craves nourishment and warmth. 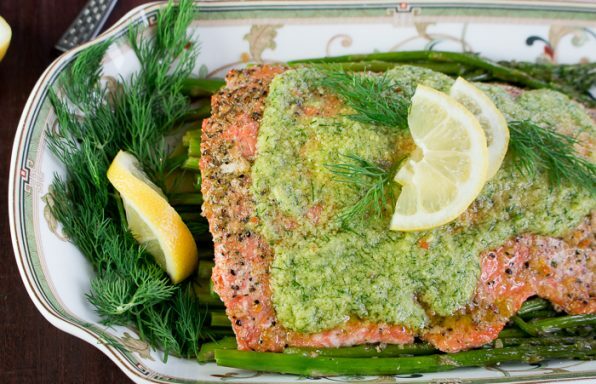 Celebrate spring with the fresh harvest. Feel free to add whatever vegetables look fantastic at the market. If you want to make this recipe vegan swap out the beef for marinated shitake mushrooms. Seriously delicious! Please check out Vermillion Roots post on How to Make Vegan Fish Sauce. 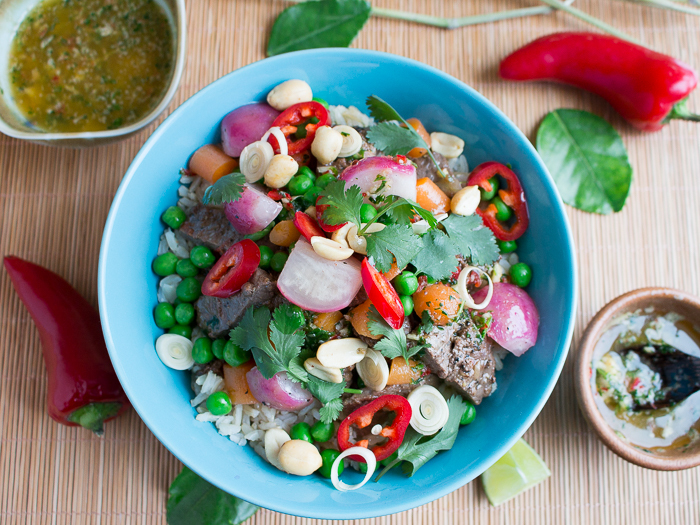 Our Spring Time Thai Beef Buddha Bowls are gluten-free and made with grass fed beef and organic vegetables and herbs. 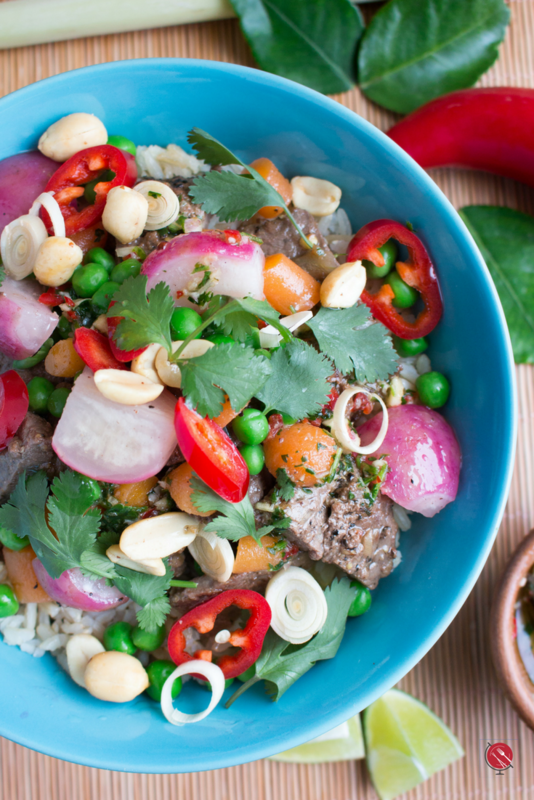 Spring Time Thai Beef Buddha Bowls are a fun meal to share for a dinner party or gathering. You can do the prep before your guests arrival and just wait to grill the beef. Set up everything in serving bowls and let everyone make their own bowl. 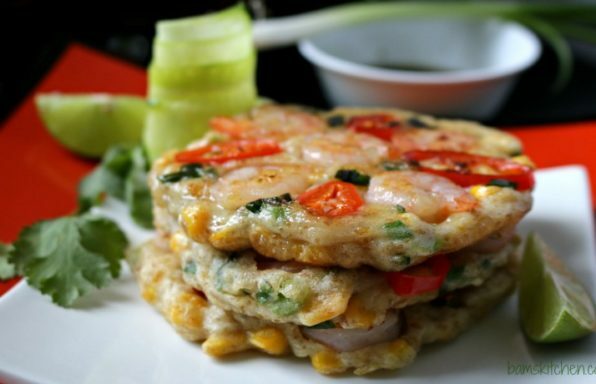 Don’t forget to serve some other fun Thai dishes like our Authentic Thai Fish Salad, Turmeric Pork Skewers and Thai Basil Dipping Sauce, or Gluten-Free Thai Shrimp Pancakes. If you are looking for other Thai cuisine inspirations please be sure to check out our Thai Category page for more inspiration. 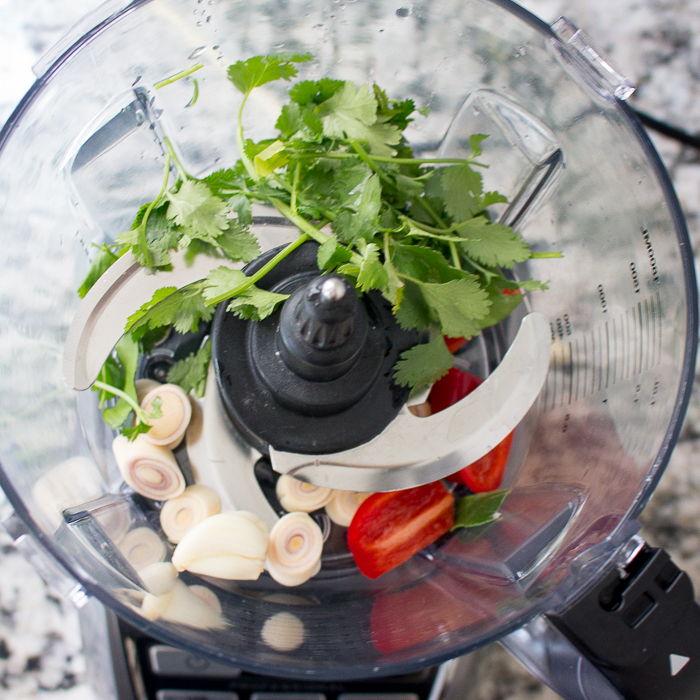 2Make your dressing: Add lemongrass, kaffir lime leaves, chili, garlic, ginger, either ¼ fresh mango or coconut sugar or sugar alternative of choice, fish sauce (or fish sauce alternative for gluten-free), olive oil and lime juice to your food processor and mix until well blended. Taste and adjust for personal preferences. If you want it sourer, add more fresh lime juice. If want it spicier, add more chili. If want more savory, add more fish sauce. 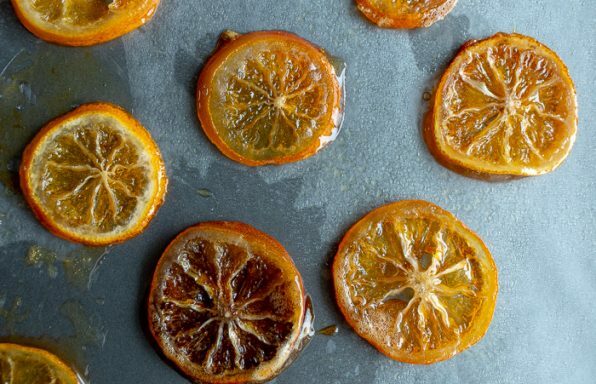 If you want it sweeter, then add more sweetener of choice. 3Stir fry your veggies: In a wok/saucepan add olive oil and your firmer vegetables like carrots and radishes, add water and salt and pepper to taste and steam for about 3 minutes with lid. Remove the lid and stir fry until fork tender. Set aside. 4Grill or pan fry your marinated beef until golden brown on both sides. 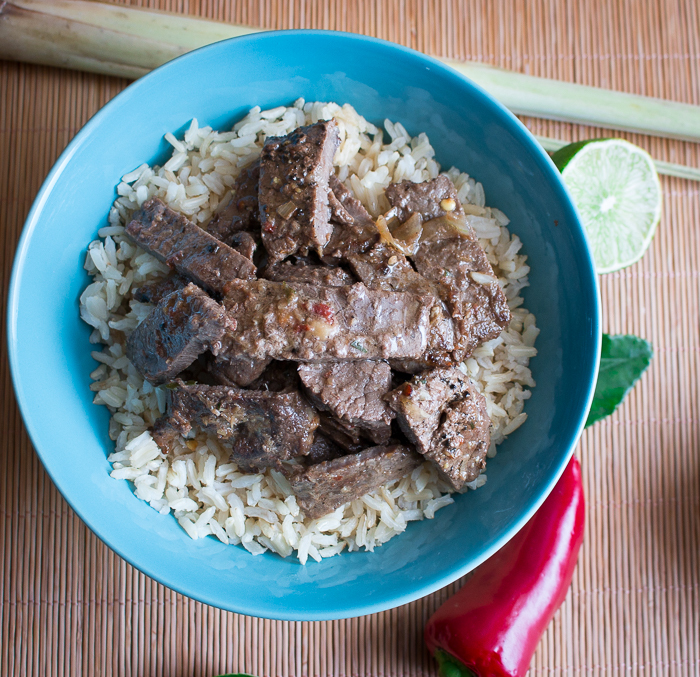 5Assemble your Spring Time Thai Beef Bowls: In a bowl add ½ cup of cooked brown rice. Top off with about ¼ pound of the grilled beef. Top with stir fried carrot and radishes. Top off with the thawed peas. 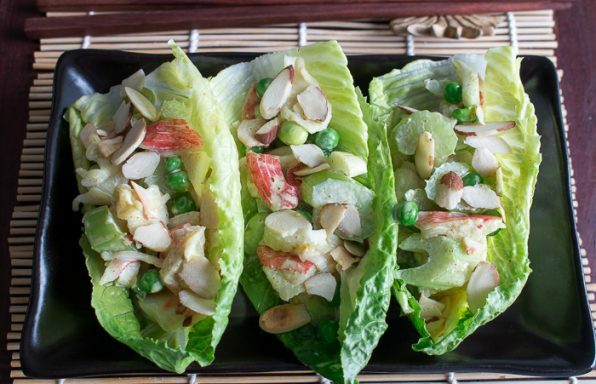 Drizzle on the Thai dressing. 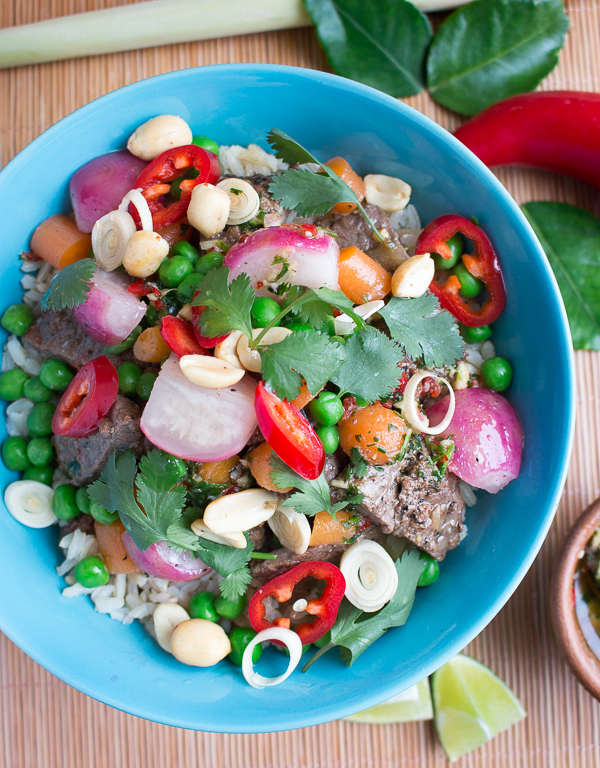 Garnish with fresh cilantro, toasted peanuts, green onions, lemongrass slices and chili slices.